Push-Ups. Love them or hate them, they’re here to stay. They are an excellent, equipment free way to train multiple muscle groups simultaneously, which is why trainers like me like them so much! 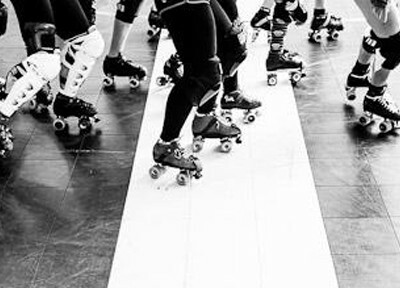 Plus, with all the bracing going on in roller derby today, more than ever we skaters need strong backs, shoulders, chests, and arms in order to provide effective defence. So if you hate push-ups, or if you find them too hard, painful**, or just plain impossible, this video is for you! Next, I’m giving you two new ways to modify your push-ups. If you struggle to complete a set of 10 push-ups in full plank position, then finding ways to modify push-ups is critical. Modifications help make push-ups easier, which will in turn allow you to safely build up your strength, instead of just struggling and failing at the full movement (hint: it’s not knee push-ups!). If you want to work on those two modifications I showed, to build up your strength for full push-ups, then here’s a routine I recommend. Do Eccentrics (aka Negatives) on Day 3. …and then keep repeating the sequence! **A note about pain with push-ups. If you have a wrist, elbow, or shoulder injury, it may legitimately impede your ability to do push-ups. Your best bet is to work with a sports med doctor or physiotherapist to either a) address and correct the issue if possible, or b) find an alternative exercise that works for you. Your mission now is to try the two form-fixes I shared at the beginning of the video. How did it feel? Is it different from what you’ve been doing? Did they make push-ups easier for you? Please leave a note in the comments area below and tell me all about it!! 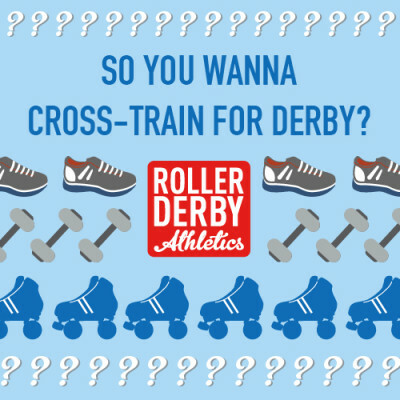 Want more derby training tips like these? Sign up for our free newsletter! PS: Keep your eyes on this site… our Sun’s Out Fun’s Out upper body challenge starts April 8! Wow thank you! I can’t wait to see my push-ups improve by using these modifications!